Reach new heights with extension cords that can go the distance. 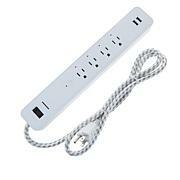 With two six-foot cords and one twelve-foot cord, this set gives you the varying lengths you need to meet your needs. 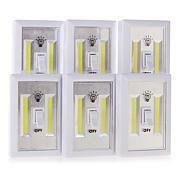 They even have a retro look to keep your space looking cool while also keeping your lamps, devices and more powered on. 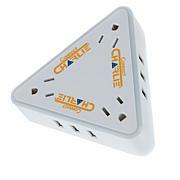 Each outlet has dual-polarized input only. No ground input. 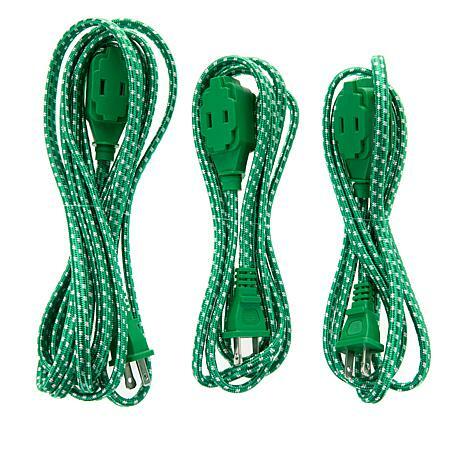 Normal extension cords are the hard plastic cover but these are corded and very sturdy. I purchased the white ones b/c it would look better against beige carpet and white wood work but for the price I think the green and the blue are very vibrant pretty colors. The green might be nice for Christmas decor. For the price you cant go wrong you can always use extension cords and when you need one it really doesnt matter the color. I think these look better than the regular plastic cords (call me old fashioned). They are also more flexible. A good buy. I got the black and am pleased with these. We have a small Townhome so these are just right for us! I am tired of brown and white extension cords. 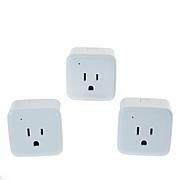 They stand out for sure when you need an extra plug 6' away from your outlet. I bought the gray and it blends with the carpet and decor. Great for normal use, but not designed for the three prong tools and electronics. Great price. Soft and pliable.